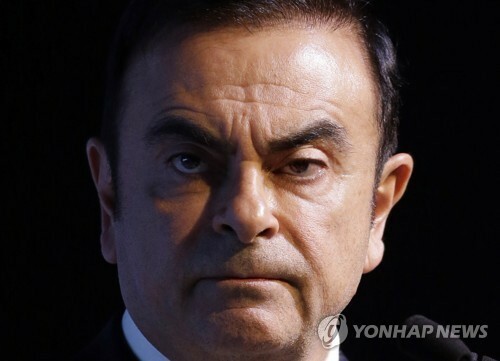 Carlos Ghosn started his interview like an executive running a board meeting. "We don't have too much time, so let's start," he told two reporters from AFP and French daily Les Echos, as if calling unruly shareholders to order. Clad in a black tracksuit and translucent plastic prison slippers, the former head of the world's biggest selling auto alliance strode into the room in a confident mood. He spoke of his family, saying the hardest thing about his detention was not being able to talk to his daughters and wife Carole. His oldest daughter turned 29 and he could not wish her a happy birthday -- the first time ever. Despite his detention, he also declared his love for Japan and for Nissan, to which he "dedicated so many years to revive... to rebuild it again, to turn it into a powerhouse." A light on constantly while sleeping. No watch and "no sense of time". Half an hour a day to pace around on the roof. He said he was "craving" fresh air. "Yes I am strong but obviously I am tired," he said. The detention centre itself was lightly guarded, with neither barbed wire nor officers outside -- more like a hospital than a building holding people on death row. Just near the entrance sat a small shop selling produce for detainees. 'Here could be found all types of reading matter to while away the time: manga, sport, magazines featuring scantily clad women. All of it was only in Japanese. To enter the prison, visitors first fill out a form -- Name Of Inmate: Carlos Ghosn. The reporters were assigned visitor number 117. After a short wait, personal effects were placed in a locker, leaving the two reporters only with pen and paper -- no dictaphone or other recording device were allowed. A guard showed the way and quickly the journalists found themselves about a metre away from one of the world's most famous prisoners, separated only by a thin screen. Refusing him bail for such a long period "would not be normal in any other democracy of the world," he charged.